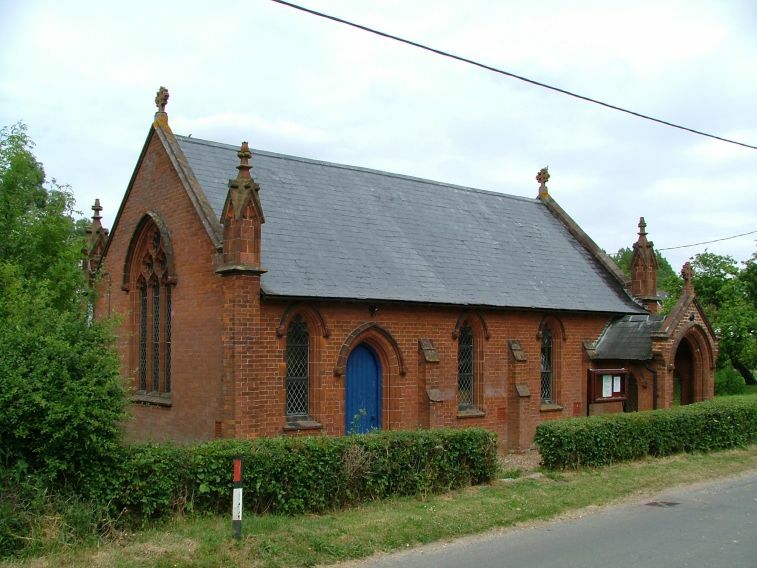 Stibbard is one of those largish, remote villages that Norfolk does so well. The roads are a bit of a maze, and it was while we were driving around looking for the parish church that we saw this elegant little Methodist chapel. I'm a sucker for anything in red brick, and so we stopped the car, and I went to take a look. The chapel is still in use, I was pleased to note, but it was not possible to get inside, which was a pity. 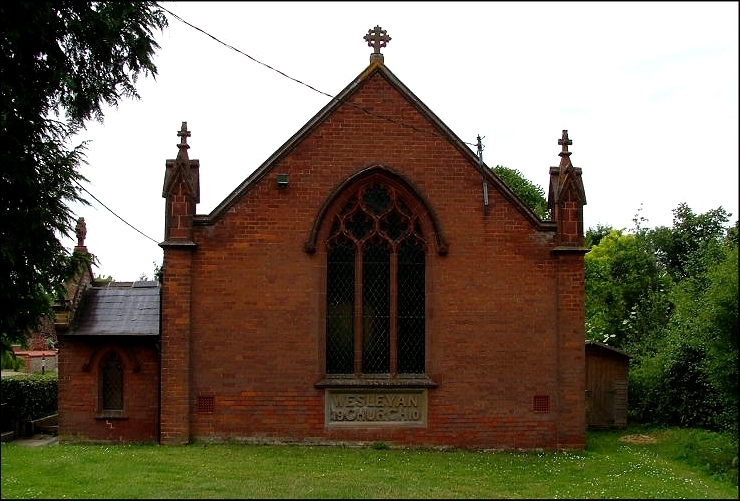 The little turrets make it resemble the Methodist chapel at Orford in Suffolk, although I think the intention is to echo the Decorated style of the parish church - certainly, the east window is in the early 14th century style. My favourite feature of the building is below it. 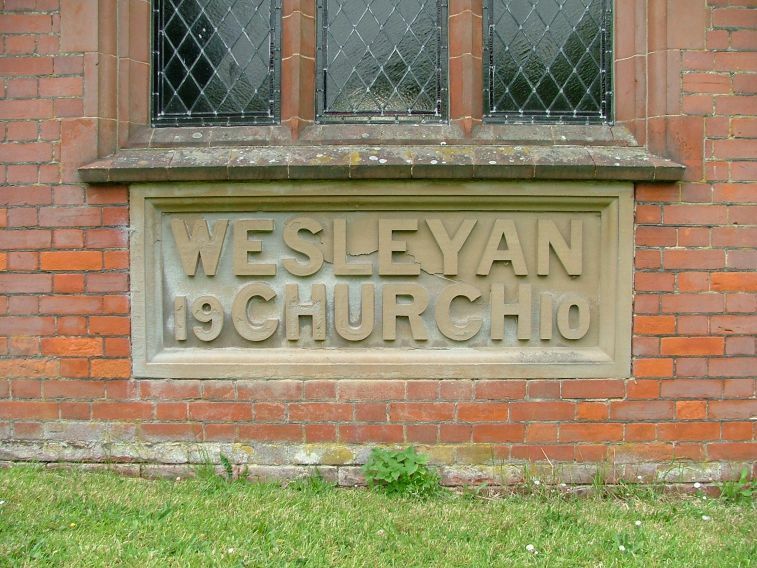 In monumental carved stone it says WESLEYAN CHURCH, and the date 1910, in that imposing lettering that emerged in reaction to Art Nouveau, before becoming decadent and racing headlong into Jazz Modern. A moment in time, caught forever.